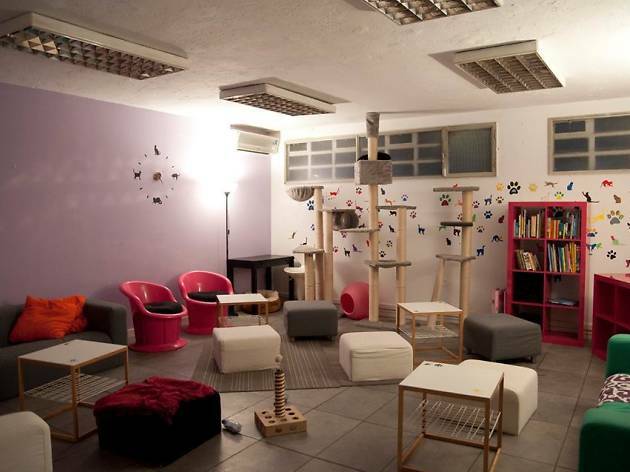 This cat café is a great place for cat people or any animal lover to contribute to the well-being of our four-legged friends while having a coffee or other soft drink, and of course enjoying the company of cats who are also up for adoption. Gatoteca is also the official headquarters of the NGO ABRIGA, which helps stray cats and abandoned dogs find a new home. Here they charge by how much time you spend at the café: the first 30 minutes are €4, and it's €6 for an hour. The space is lovely, and the owners are always hosting events such as markets, animal therapies for people with special needs or disabilities, talks about how to care for your pet, and more. 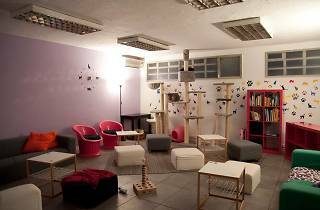 You'll find two floors with comfortable armchairs and low tables so you can play with the cats, and anyone interested in adopting a cat can get to know them all, and they can get to know you and decide if you are the person for them.